The EDEL WATER uses the return-flow water from your underfloor heating or any other very low temperature heating circuit to heat your domestic water. 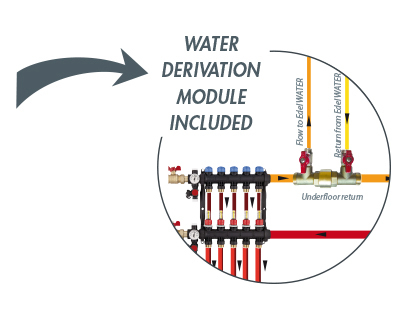 Edel WATER uses return flow water from your underfloor heating or any other very low-temperature heating circuit to heat your domestic water. 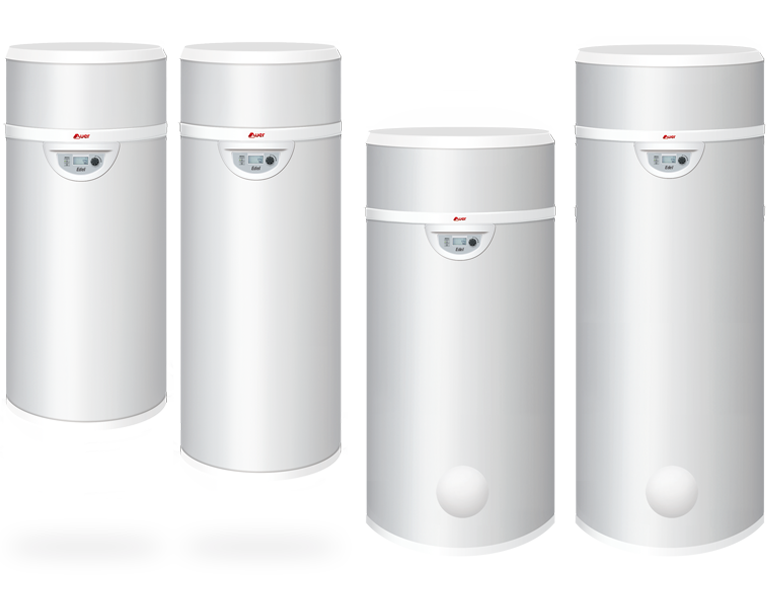 AUER provides the only heat pump water heater on the market that operates with underfloor heating. to provide domestic water at 60°C. 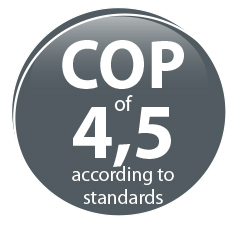 your domestic water with an outstanding COP up to 4,5. 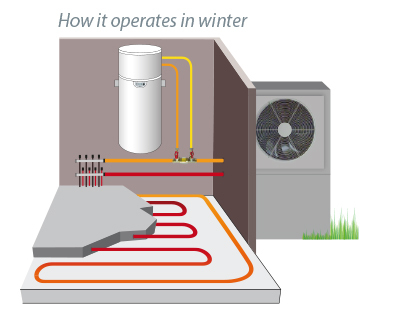 The accumulated energy at low temperature in the underfloor is used by Edel WATER to produce economically your domestic hot water. Very compact, it can fit easily anywhere in the house. Its integrated micro-circulator only consumes 5W. Edel WATER can even improve your summer thermal comfort! 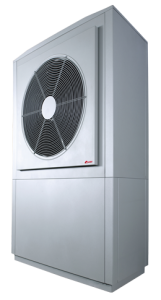 The integrated heat pump extracts calories from your underfloor heating return flow water with an unequalled COP. Outstanding thermal and acoustic performances. 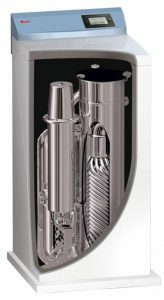 No air duct: only a hydraulic connection, giving you a total freedom of choice for the installation location in your house. 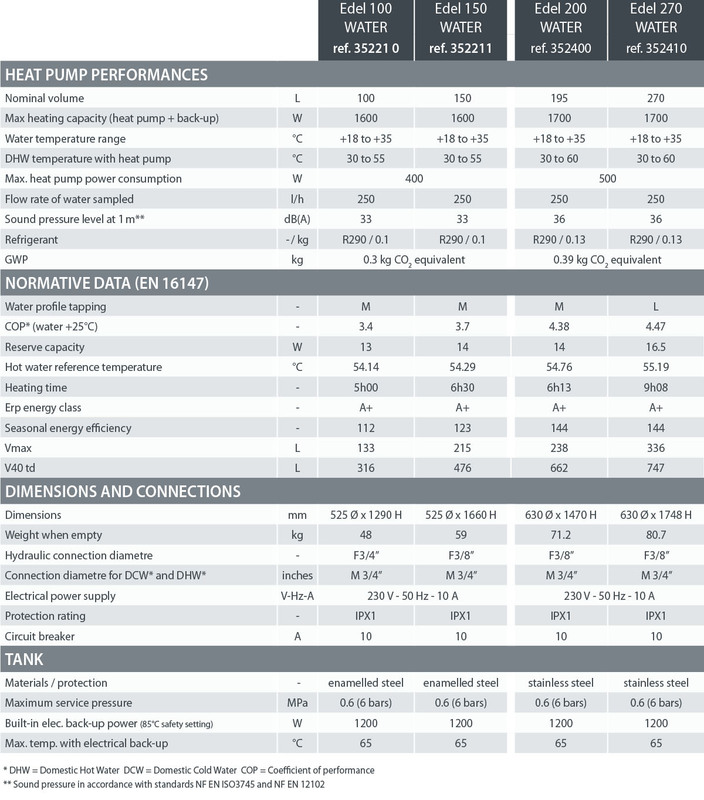 Up to 60% more energy efficiency for DHW production than a heat pump which provides both heating and hot water. No air noise : < 30 dB(A) at 2m. No fan, making it even quieter. High-performance compressor fitted on silent blocks. Select a mode according to your needs: BOOST, COMFORT, ECO or HOLIDAY. 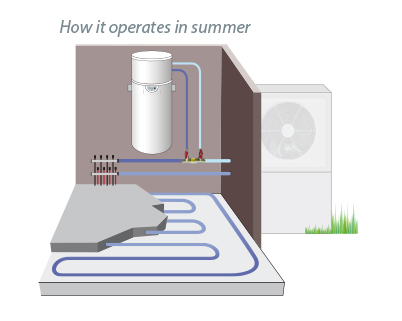 The heat pump operates an automatic anti-bacterial cycle.